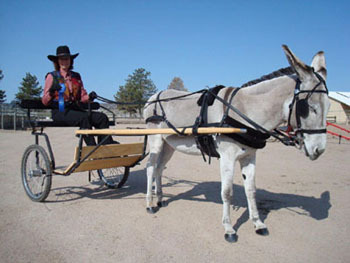 Kay was invited to present at the UC Davis, 2015 Donkey Symposium, on obstacle training for donkeys. 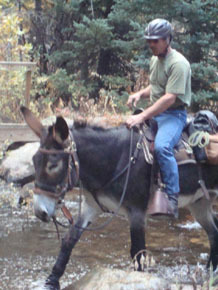 Donkeys process differently than horses, and mules process similar to donkeys. 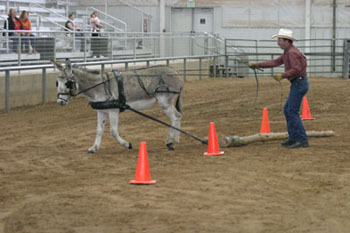 Horses, donkeys and mules all handle obstacle training better if they trust their handler to have their best interests at heart. This does not mean acting like a “dictator,” but instead, being a support person who is calm, smiling, and acting like they have all the time in the world. If you are frightened of something, who would you rather be with?! 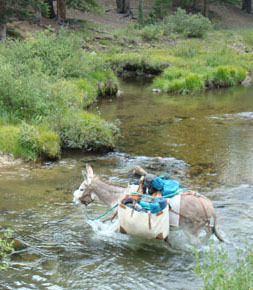 The final product of any human/animal relationship comes down to teamwork, which is The Two Sweet philosophy whether you are in the saddle or on the ground.